An entry level lifeguard or a junior lifeguard is mostly stationed at the poolside. The lifeguard job is to keep an eye on things and to take action if something goes wrong. He has to administer the safety rules laid down by the pool management. 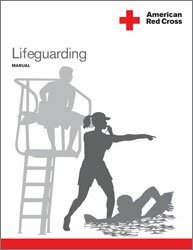 In-depth knowledge of lifeguard surveillance and rescue techniques. The ability to demonstrate the above mentioned skills as and when needs be. A thorough understanding of the pool facility and its standard operating procedures. Communication skills, the ability to pass out instructions to a large group of people and to make announcements without causing panic and arousing fear. Ensure all safety rules are followed and standard operating procedures are strictly adhered to. Ensure all communication devices, and safety and emergency equipment are in a working condition. Fill in all necessary log books and reports. Participate in all in-house training sessions and remain informed about the latest rescue and surveillance techniques. Adhere to the workout routine to remain physically fit. Show good team spirit and follow the instructions of his supervisor. In order to do the lifeguard job well, a person should be able to perform in water i.e. he should have the stamina to swim and to rescue. Here are approximate figures that indicate a person’s ability to become a lifeguard. A lifeguard should be able to swim 400m continuously within thirteen minutes. He should use a combination of strokes to complete the 400 meter stride, i.e. he should be able to do 100m freestyle, 100m breaststroke, 100m backstroke, and 100m sidestroke. He should be able to swim 50m and then should be able to tow a casualty for the same distance within three minutes and fifteen seconds. He should have the ability to demonstrate surveillance and rescue skills and techniques in different situations. He should have a fair idea of detecting spinal injuries in shallow waters. He should be able to reflect quickly and take immediate action by making decisions on the spot. A lifeguard usually reports to the head lifeguard, lifeguard supervisor, the head of safety and security at the pool, or the aquatics director. He should refer to his appointment letter to find out who he is accountable to and who he gets his instructions from. The lifeguard job is challenging indeed, the primary responsibility of the lifeguard is to keep a vigilant eye on people using the water facility, and in a situation of an emergency he must take action quickly so that damage to people’s lives and health is minimized.